The EasySept Peroxide Solution disinfects, removes protein and stores silicone hydrogel and all soft contact lenses. 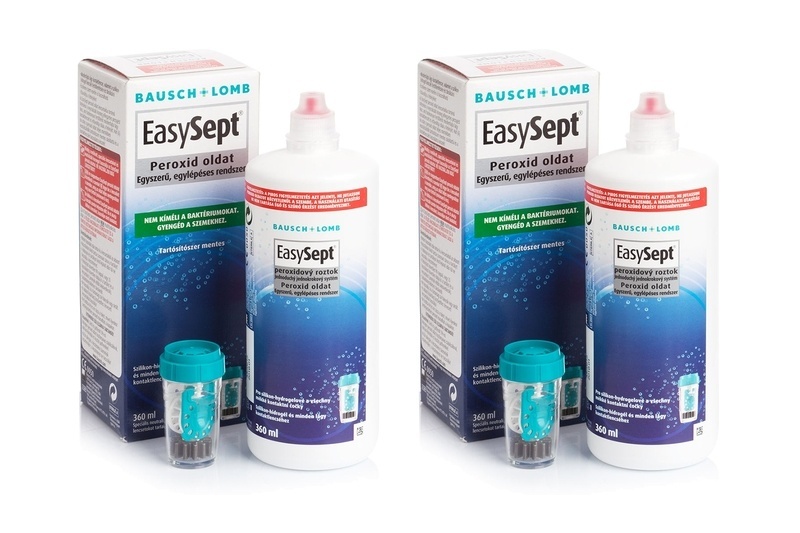 The EasySept solution is preservative-free and provides simple and safe contact lens care. When using EasySept solution, it is necessary to keep to the time needed for neutralisation and always use it with the enclosed original case comes with a neutralising disc. Contact lenses must stay in the case for at least 6 hours, and after the neutralising process, the contact lenses can be reinserted. Make sure that the solution is always neutralised completely before applying contact lenses. A solution that hasn’t been neutralised must not come into contact with the eye!